Braen Supply is New Jersey’s largest supplier of high quality custom designed indoor and outdoor fireplaces, fire pits, pizza ovens, brick ovens and outdoor kitchens from Stone Age Manufacturing. 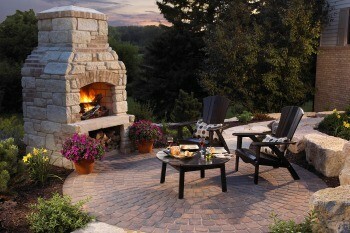 All of our prepackaged outdoor living kits are specifically designed to make for an easy installation. We offer all of these kits at the best prices in NJ and they’re available for pickup and delivery across all of NJ & NY. If you’re considering one of the offerings from Stone Age we recommend speaking with a Braen Supply specialist to discuss which options may be the perfect fit. Stone Age Fireplaces are made from high quality materials specifically engineered to provide their owners with years of enjoyment with a minimal amount of maintenance. Approved by Underwriter Laboratories, these fireplaces are engineered with safety as the number one priority. With their UL-127 certification they are guaranteed to deliver peace-of-mind, in that customers have purchased one of the highest quality, most durable products on the market. Measured from the opening of the fireplace, these fireplaces are available in three different sizes: 24”, 36” and 48” and come as prepackaged kits. All of our fireplaces come with the option of a customized straight top or arched opening. In addition you can add of the option to have gas logs used with the fireplace or to use it as a traditional wood burning option. We also offer a unique take on the fireplace with a 36” option that is completely transparent. The majority of the product line is designed to allow you to customize the unit to match your landscape. You can use a variety of veneers, stones, brick or any other concrete adherent materials that you would like. This ensures that your fireplace will be completely different from any other you see. The Stone Age fire pits that we offer are made of high-temp concrete and materials that are specially engineered to offer a variety of customization options. These fire pits are available in both square and round designs. 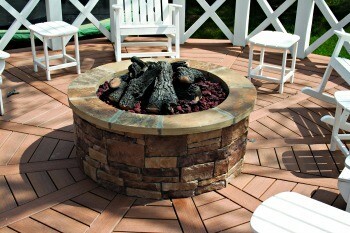 These fire pit kits are extremely easy to assemble, and usually take less than an hour to do so. They are an inexpensive option that can add a unique touch to your landscape. It’s important to note that these fire pits are simply the structure for your fire pit. You will need to add your own stone veneer, brick or stone to the to complete the look. This allows you to have complete control of the look and feel of the fire pit, making no two fire pits the same. The pizza ovens offered by Stone Age are another option to give your backyard a custom style that matches your landscape. Available as a stand alone centerpiece for your outdoor living space or as a elegant and functional addition to your outdoor kitchen, you can customize the look and feel with veneers, stones, bricks and more. These pizza ovens are fully functional, however they require you to design the outside of the pizza oven with the options of your choosing. This means your guests will be impressed by a one-of-a-kind pizza oven every time they see it. Made from high quality masonry materials, these outdoor cabinet components are designed to withstand any climate or weather conditions. 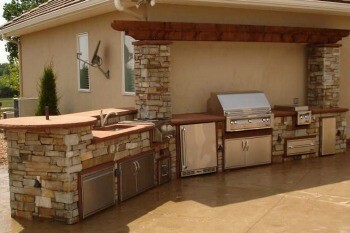 All of these components assemble in a snap, allowing you to assemble your new outdoor kitchen within minutes. Every one of these custom finished, outdoor cabinet kits is available in a wide variety of finishes and is engineered to accept any brand of outdoor appliance. 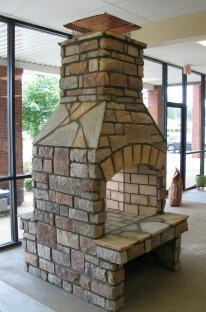 Available in gas or wood style, these outdoor brick ovens come as highly customizable kits. Made from high-temp cement, these brick ovens are very easy to assemble and are engineered with the do-it-yourself homeowner in mind. 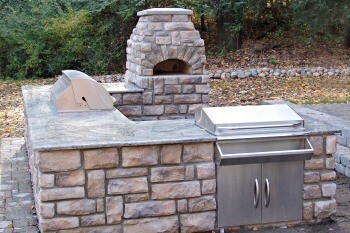 This multifunctional brick oven will allow you to make authentic brick oven dishes for all of your events. Stone Age Manufacturing produces some of the highest quality, outdoor entertaining equipment available today. The easy to assemble fire pits, outdoor kitchens, brick ovens, pizza ovens, indoor and outdoor fireplaces are extremely popular options among homeowners and contractors alike. Braen Supply is one of the largest suppliers of these kits in NJ. We also offer all of the masonry materials that you may need to complete the design you’ve always wanted. Our dedicated team is available to discuss your upcoming project and to assist you with choosing the best fit for you and your landscape. Speak with a Braen Supply specialist today to discuss which Stone Age product fits with your budget. Stone Age product kits are available for bulk delivery to homeowners, cities, contractors, townships, schools, religious establishments and universities. Our drivers are experienced and will do their best to accommodate your delivery requests. Depending on the quantity, we deliver Stone Age product kits to all of New Jersey, Pennsylvania, Connecticut and New York. Our core delivery area for Stone Age product kits in New York includes NYC, Manhattan, Brooklyn, Queens, Staten Island, Harlem, The Bronx, and Long Island. This location offers only wholesale products. Please only visit Haledon if you are a looking for bulk pickups larger than 15 tons.